The River Kenn has been producing some nice catches over the last few weeks. 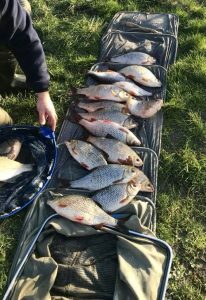 Scott Smallwood had a nice bag of 17 roach, each one over 1lb 8ozs. 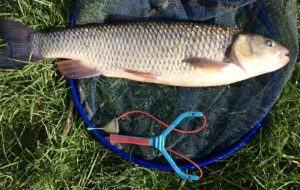 Chub were stocked quite a few years ago and are rarely seen, a 4lb specimen has been caught by John May. Pictures below….